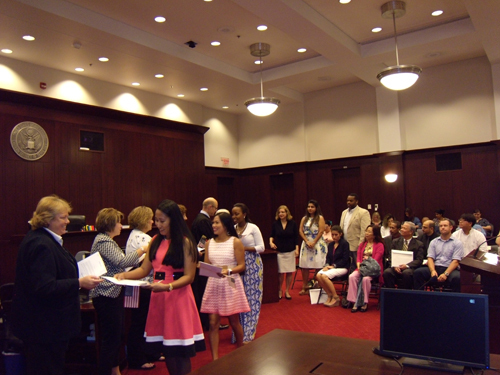 The Eastern District of Tennessee hosts several naturalization ceremonies throughout the year. Naturalization is the process by which U.S. citizenship is conferred upon a foreign citizen or national after he or she fulfills the requirements established by Congress in the Immigration and Nationality Act. For more information regarding naturalization, please contact United States Citizenship and Immigration Services. There you will find forms and information related to naturalization.